Performance Built 68RFE Transmission 07-up Ram 2500-3500 Cummins Performance Built 68RFE Transmission 07-up Dodge Ram 2500 Cummins, Performance Built 68RFE Transmission 07-up Dodge Ram 3500 Cummins, Dodge Ram 2500 Cummins Transmission, Dodge Ram 3500 Cummins Transmission, Dodge Ram 2500 Trans, Dodge Ram 3500 Trans [XP Performance 68RFE Trans] - $3,895.95 : 3rd Strike Performance, Your Source for Late Model MOPAR Performance Parts and Accessories! This 6-speed automatic was developed specifically for the Dodge Ram 2500 and 3500 series trucks and the 6.7 Liter Cummings engine. The 68RFE transmission was introduced onto the market in 2007 and faithfully served the one and three quarter ton Ram's for the next five years ending its production in 2012. We started building and rebuilding the 68RFE soon after its conception. After nearly a decade of experience we have found many ways to increase the longevity and performance of this transmission. 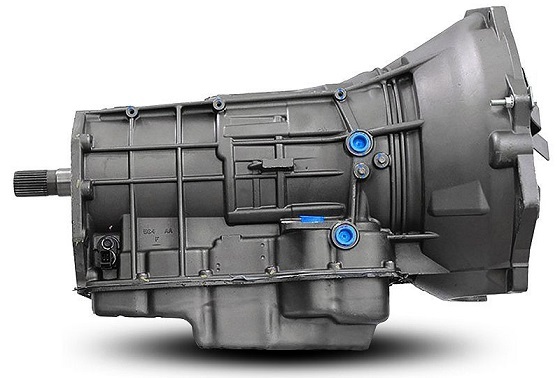 68RFE Transmission and Torque Converter: Far from just being rebuilt, the Xtreme Performance series 1 is an OEM replacement that has been fully remanufactured with upgraded parts that have been designed to increase performance, reliability and longevity. Price includes an $1800 Core Charge. Core charge is only refundable if core sent is undamaged and rebuidable.